Lobsang Sangay is set to serve a second term as the Sikyong of the Central Tibetan Administration at Dharamshala, India. 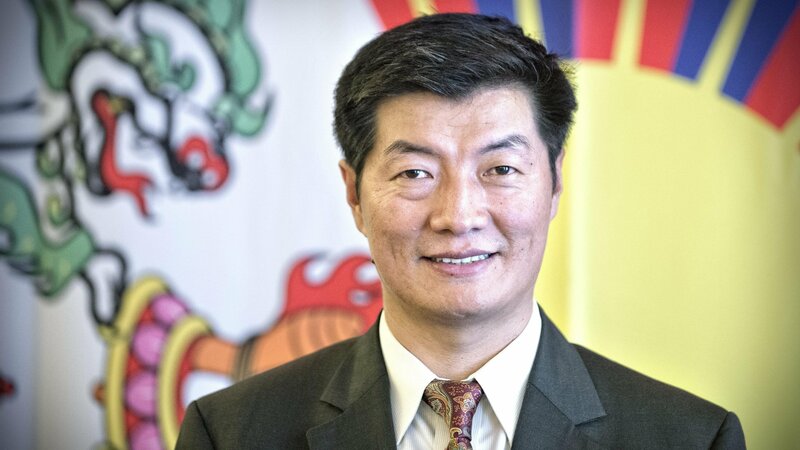 (TibetanReview.net, Mar30’16) – With more than 57 percent of the votes having been cast in his favour, Lobsang Sangay is set to serve a second term as the Sikyong of the Central Tibetan Administration at Dharamshala, India. While counting of votes and the announcement of results at the local election offices in more than 30 free countries across the world have been completed by Mar 28, the election commission of the Central Tibetan Administration will announce the overall official results, including the results of the election to the 45-member Tibetan Parliament-in-Exile, on Apr 27. It was a straight contest between the incumbent Sikyong and the Speaker of the Tibetan Parliament-in-Exile Mr Penpa Tsering, with the final voting having taken place on Mar 20. Sangay has won by big margins in the large Tibetan settlements, notably in Bylakuppe, Mundgod and Ladakh, as well as in Europe, North America and Australia on overall bases. Penpa Tsering’s most notable win has been in the exile Tibetan capital of Dharamshala; he also won in several local areas both in India and abroad. Of the total of about 90,000 registered Tibetan voters, nearly 58,000 have exercised their franchise, accounting for a turnout of more than 64 percent, although the final figures will be announced by the Tibetan election commission. The Sikyong is the executive head of the Central Tibetan Administration and the political leader of the Tibetan people. The new Tibetan parliament members will take their oath of office in May, although the Sikyong could delay his oath-taking till August, as he did in 2011. The current Sikyong became the first directly elected political leader of the Tibetan people in 2011 after the Dalai Lama devolved the historical temporal powers of his lineage to an elected leadership. He continues to remain the spiritual leader of the Tibetan people and still the main symbol of the Tibetan nationhood. Lobsang Sangay la earned the good karmic fruition of being sworn as the first ever lay Tibetan Sidkyong in the 2143 years of Tibetan history. This is nether an accident nor a petty affair.This is history. Is this young man who did not know , capable of handling such a historic responsibility? Isn’t he bit too young and inexperienced ? Who could have groomed him in leadership to be able to climb to the highest civic post, appearing from no where ? Have the Tibetan electorate done a responsible job? Here he is again.poised to lead us for a second time. This time around , I have a word of advise to Lobsang Sangay la. If you want to earn a respectable place in the annals of Tibetan history, you need to sacrifice lots of thnngs. Don’t not get pulled by forces nepotism, regionalism etc. and repel yearnings for retribution . This will lead you to the path of beng respected as a national leader- Gandhi,Mandela, Martin Luther King etc.